As we’ve said before, business expos are exhausting. This is just one reason why it’s best to tackle them as part of a team. If you send a team to an expo, as well as being able to draw from a diverse range of talents and personalities, you’ll also be able to take it in turns to man your stand. Those not holding the fort can network, of course. But more importantly, they can also take regular breaks, helping you all to be at your best all day. But sometimes you’ll have no choice but to attempt an expo alone. In any case, though it’s not ideal, there will be times when you’ll be forced to go solo. It’s not ideal, but it’s no cause for concern. Here’s how you can still make the best of the day, even when you’ve got no team to back you up. So go minimal. Go lightweight. 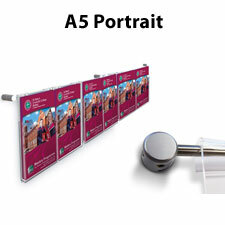 Luckily, most of our exhibition stands are light and easy to assemble. 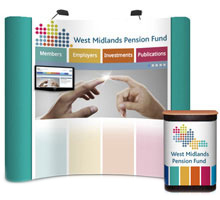 The pop up and hop up stands are particularly suitable for solo exhibitors, as they’re easily foldable into a more portable size. But once assembled, they’re just as eye catching and engaging as something more elaborate. Stand proud and smile. If you slump and frown you’ll feel more tired than you actually are. So instead, take a tablet. They’re smaller, easier to carry round when not manning your stand, and they’re just as effective when it comes to creating the right impression and collecting leads. If you’re forced to go alone, the expo won’t be nearly as successful as it would have been were you able to attend as a team. But with the right strategy, the right attitude, and the right equipment, the day can still be a success. 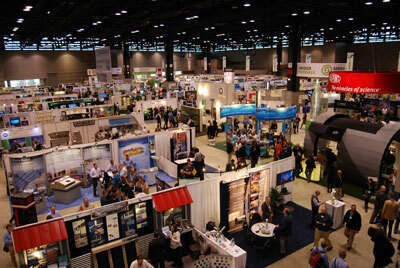 If you’d like some more advice on making your expos and trade shows a success, why not give us a call? 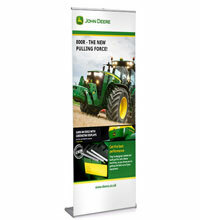 We’ve been doing this sort of thing for years, and we often design solutions for sole exhibitors.